If anyone would know that, it’s Platinum Games. Whether it’s Bayonetta or even Anarchy Reigns, the studio has churned out a string of original titles over the past decade. That isn’t easy. In the most recent Weekly Famitsu, the magazine celebrates the studio’s tenth year anniversary. 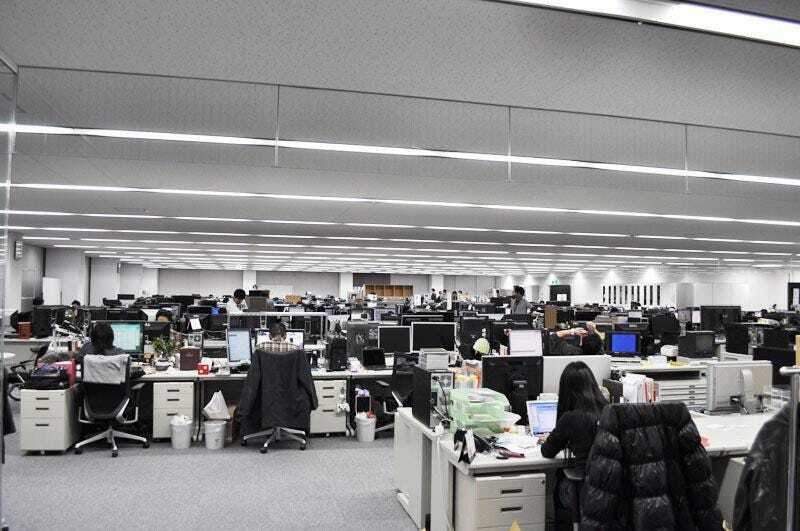 Platinum Games talks about how things have changed over the past decade as it went from a staff of 60 to its current 180 or so, tripling in size. If you look at the studio’s chronology, you’ll see how from 2009 to 2012, it did churn out original titles only. In 2013, it released Metal Gear Rising: Revengeance. Ever since then, Platinum Games has also done gun for hire work alongside its own original titles. Launching original games isn’t easy. Over the years, Plantium Games has taken some big risks with new titles. Some have paid off, like Bayonetta, while others have not. While titles like Anarchy Reigns didn’t post the sales figures Platinum Games wanted, they were interesting and different. Adding in established franchises in the mix, enabling the studio to alternate being something everyone knows and something that is brand new, offers more stability. It allows for the studio to try something like The Wonderful 101, providing a safety net of sorts, while established franchises ensure that the lights stay on. As other Japanese game makers seem to be bailing on consoles, Platinum continues to produce a steady stream of titles. This year alone, Platinum is slated to release four titles: Star Fox Zero, Teenage Mutant Ninja Turtles: Mutants in Manhattan, and Nier: Automata. It’s also working with Shigeru Miyamoto on his odd, but cool Wii U title Project Guard. Next year, Platinum Games is following all this up with an original title, Scalebound. Throughout the interview, Platinum Games stresses that the way they make games hasn’t changed. I agree. Fundamentally, they haven’t.